Synthesis of CdS nanowires NWs by combined intense pulsed light (IPL) and pulsed laser ablation in liquid is demonstrated for the first time. An IPL source providing 3 ms duration pulses was used to assist the synthesis of CdS nanowires by 7 ns pulsed laser ablation of cadmium target in thiourea and CTAB solution. 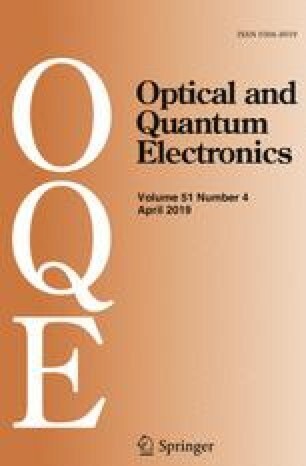 The results showed a small increase in optical energy band gap of CdS NWs and a decrease of the nanowires diameter from 50 to 40 nm after combining the IPL. The intensity of the photoluminescence emission peak located at 458 nm was doubled when the IPL combined laser ablation process. In addition the synthesized CdS nanowires showed single crystalline pure hexagonal wurtzite phase with decreased particles agglomeration and smaller particle size. Raman spectra were improved too by revealing sharp and shifted peaks at 293 and 585 cm−1. The figures of merit of hybrid n-CdSNWs/p-Si heterojunction photodetector namely responsivity and minority carrier lifetime were found to be improved remarkably after using IPL assisted laser ablation.